The sleeve is slightly damaged on the seam. Otherwise also NM. 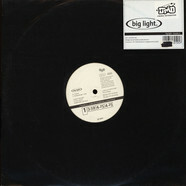 Big Light - Trouble Is 12"